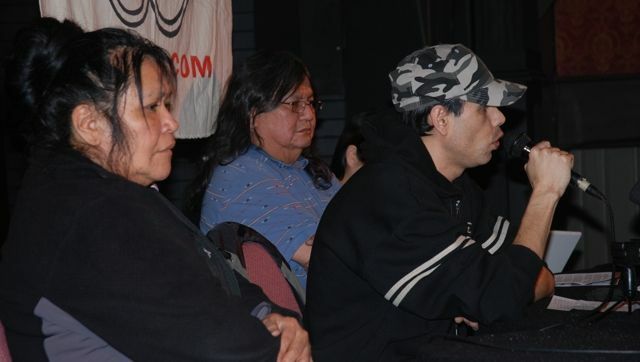 Carol Martin on the panel on Indigenous resistance to the 2010 Olympics at the convergence against the Vancouver winter games. Carol is a member of the Downtown East Side Elders Council, All Nations Healing Centre and the February 14th Memorial March Committee. She is a longtime advocate and grassroots voice for people from the Down Town East Side.